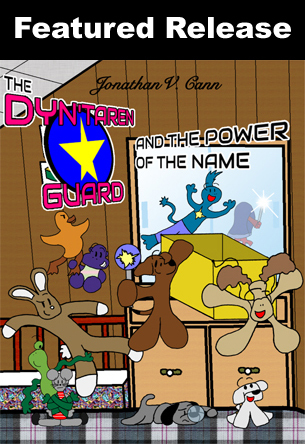 When Fluffy Dog opens a box filled with treasures from another planet, he and his friends become the Dyn’taren Guard: a team dedicated to making the world within their bedroom a nicer place. But a stranger known only as the Bright Hand is after the treasure, too, and the Guard already has its hands full dealing with scary skeletons, giant lizards, and one nutty little sister. Can Fluffy, Benny, Detective Dog, and the rest master the magic of the star wands and solve the mystery of the doll with no name? In a future where curiosity has been outlawed, Ross Bridell, a language genius working at one of the last private detective agencies, thinks he and the ghost of his ex-boyfriend can still work things out. But there’s more than one ghost stuck inside Ross’s head, and as half a dozen voices fight for control, Ross finds himself being drawn toward an impossible apocalypse in the making. Teaming up with Neal Pendleton, a young man diagnosed with excessive inquisitiveness disorder, Ross sets out to pry the truth behind what’s happening to him from a city that doesn’t like questions. The old world is already gone. Which world will die next? You can buy this book on Amazon. The Broken Lightning books can be read in any order, but chronologically, this is the second. As of right now, I consider it some of my best work. It’s also the second book to feature a cover by Christopher Curry John O’Connell; this one is a photo of a Riktali phrase he painted on a piece of glass, which he then shattered. Copyright © 2019 Jonathan V. Cann. Book Landing Page By Rara Theme. Powered by WordPress.